Exactly how many Batmobiles does Batman have? Good question, and only Batman knows the correct answer. But for purists, there is only one true Batmobile. The rest are just imitations of the original. What we have come to recognize in popular culture as the Batmobile was built in 1966. But there’s an interesting backstory about how it came to be built, who built it, and what components were used. 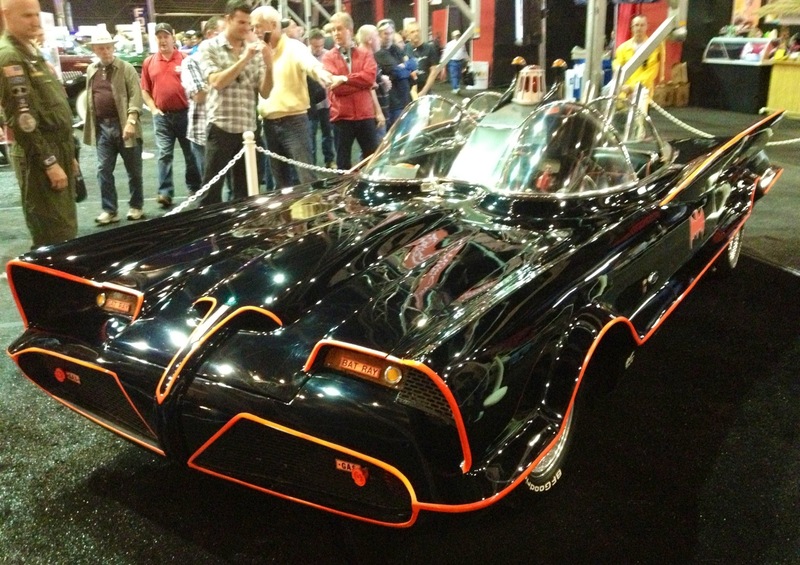 Master car customizer George Barris is considered the father of the Batmobile, and probably rightly so. But initial work on the design was done by Dean Jeffries, a famous Hollywood movie car maker and stuntman. Jeffries, who came up with the Monkeemobile and Green Hornet’s Black Beauty among others, was originally contracted in 1965 to design and build a radical custom ride for a planned Batman TV series. But ABC decided to put the show on the air earlier than originally planned; Jeffries said he would not be able to complete the car fast enough for them. He recommended Barris. Barris was interested. But there was one catch: The car needed to be designed, built and ready for filming in just 15 days. Barris, after looking at Jeffries’ initial work, agreed to the insane schedule. He decided he could re-purpose an old auto show concept car that he had sitting around. It was called the Lincoln Futura. It had made its auto salon debut in 1955; he had purchased the car a few years later, after its show car circuit life had come to an end, from a Ford dealer, who was trying mightily to just get rid of it. Purchase price? One ($1.00) dollar! Barris bought it shortly thereafter. He estimated he put about $30,000 into transforming it into the Batmobile. But the 10-year-old Lincoln Mark II-based show car underpinning the Batmobile was out-dated, and unreliable because it had never been intended for heavy acceleration and movie stunt work. The original Lincoln 285-horsepower, 365-cubic-inch V-8 and drivetrain was soon replaced with that of a new Ford Galaxie, a 390-cubic-inch V-8 good for 265 horsepower. Barris used the 1966 Galaxie as the basis for three fiberglass replicas of the original Batmobile, using the Ford’s frame and running gear. These were regulars at car shows, movie premieres and promotional appearances. Barris later acquired a fourth replica, built on a 1958 Thunderbird, with a metal body. The waters are further muddied from there, as filmmakers from subsequent Batman movies have created their own unique versions of Batmobiles, Batbikes and Batwings. But, Barris considers there to be only one authentic original Batmobile, and that is the converted Lincoln Futura show car. He owned the car continuously for more than 40 years until he finally decided to sell it. It was purchased Jan. 19, 2013, at a Barrett Jackson classic car auction in Scottsdale, Ariz., by local businessman Rick Champagne for $4.62 million (including sales commission). That was a record price paid for any movie car.